Hi gals! How is everyone on this gorgeous Thursday? Well, at least I'm hoping it's gorgeous where you are. Today the sky is a brillant blue here in Northern Ontario. It's warm and breezy and just a perfect kind of day. Things have been pretty busy lately. Been stuck with my nose in a few baby books learning all I can. We've been working on a few projects around our home as well - and I can't seem to keep myself out of the kitchen. I've been cooking and baking up a storm! I found this amazing recipe for blueberry muffins that I've made twice in the past two weeks. Let me know if you want the recipe. It involves sour cream and in my mind, anything that involves sour cream is an A+! Shane and I are getting ready to head to camp for a day or two. Escaping civilized life is sometimes so relaxing. 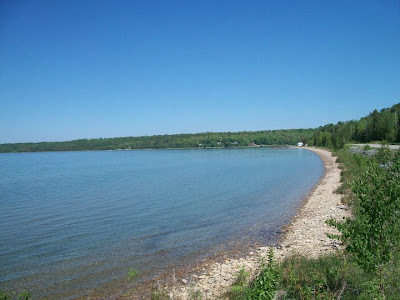 Where we camp, is on the world's largest fresh water island, Manitoulin Island. There are no sort of chain restraunts/coffee shops/anything on the island. It's absolutely gorgeous there and really helps you to escape life and get back to just living. I'm excited to go! I hope to get a few photos for you while away. A friend of mine recommended drinking orange juice before going in to your ultrasound because the citric acid makes the baby a lot more active. Our ultrasound tech had to take a long time to get all of the measurements in because she was moving so much and she had to chase her around, but she gave some good shots of her parts! Have fun on the island. 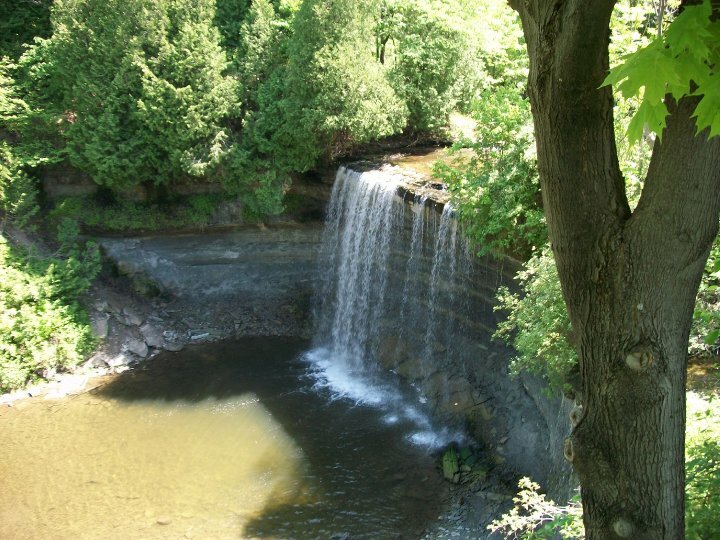 My sister used to live right across from the chocolate shop near bridal veil falls. Make sure you go to that chocolate shop, and get a Mint Meltaway and enjoy it for me :). Also, when I stayed with her when her son was born I got addicted to their ice coffees. AND ... if they have any of their delicious, specialty cupcakes when you're there, you MUST try one of those too.